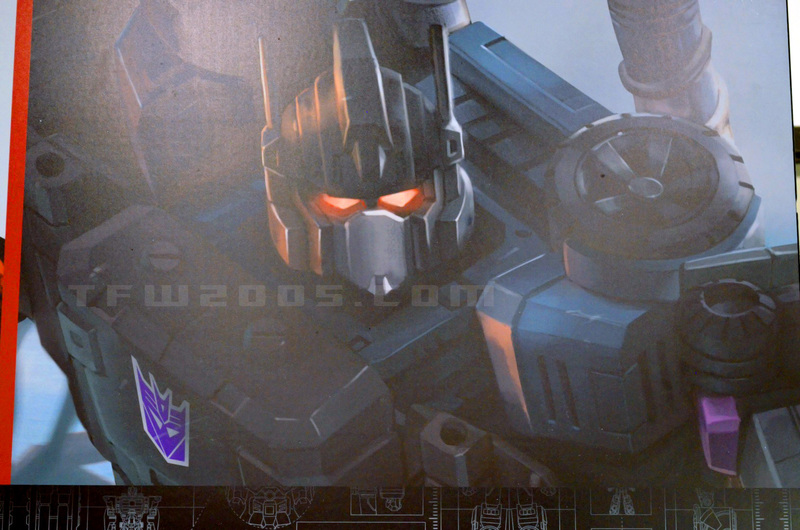 Tokyo Toy Show Transformers Panel Roundup – Masterpiece Ironhide, Unitw Warriors Devastator, & More! The Tokyo Toy show is still in full swing, and a Transformers panel is going on. Watch this space as we’ll be updating with info as it rolls in. 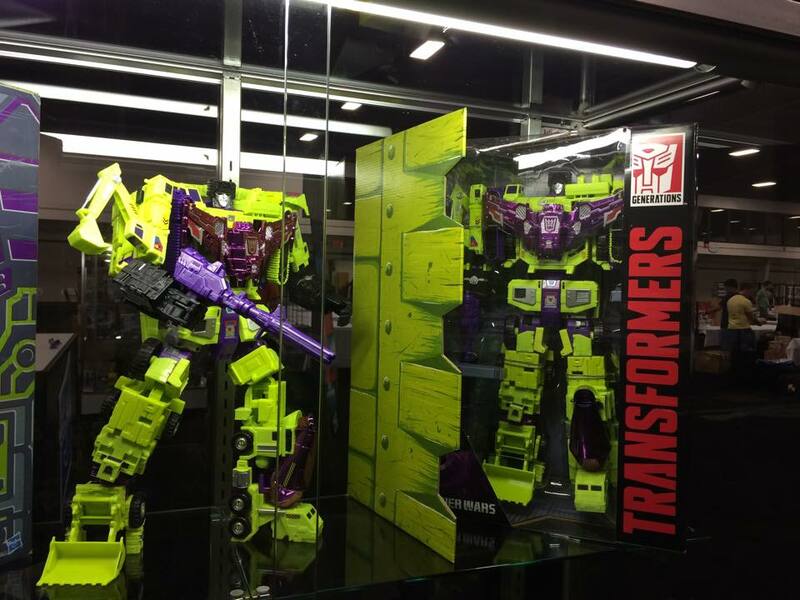 The post Tokyo Toy Show Transformers Panel Roundup – Masterpiece Ironhide, Unitw Warriors Devastator, & More! appeared first on Transformer World 2005 - TFW2005.COM. 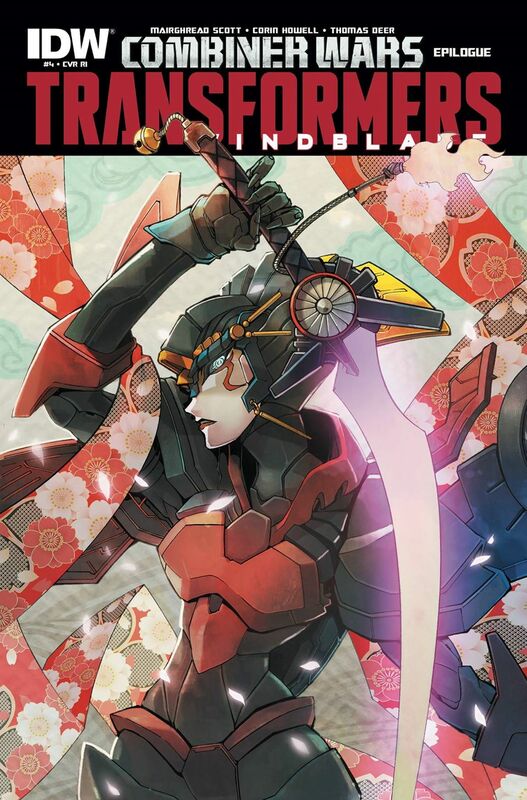 IDW’s Facebook has just posted a stunning new retailer incentive cover for Transformers: Windblade #4 – set to be released next week on Wednesday, June 24. The art is by Naoto Tsushima, with colors by Jet Enter. Let us know what you think of it after the jump! The post Windblade #4 Retailer Incentive Cover appeared first on Transformer World 2005 - TFW2005.COM. Here’s one last pic from the Friday Botcon 2015 Dealer Room – a shot of Combiner Wars Bruticus art from a banner on display at the Hasbro booth. Check it out in all its glory after the break! The post Botcon 2015 – Combiner Wars Bruticus First Look appeared first on Transformer World 2005 - TFW2005.COM. We have addition images of Hasbro’s Botcon booth from the dealer room. Feel free to look at the images and discuss on the boards. 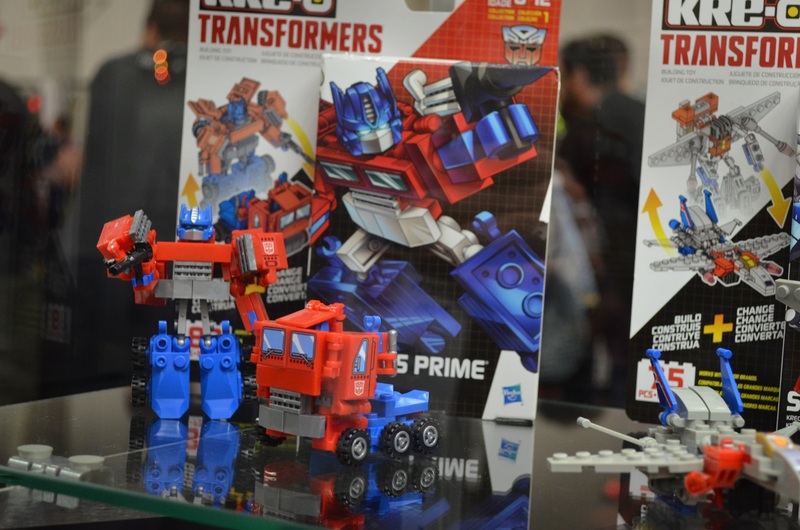 The post Botcon 2015 Hasbro Booth RID, Kreo, and Rescue Bot Images appeared first on Transformer World 2005 - TFW2005.COM. Via Barnes & Noble, we have information on a new young readers book from Little Brown Books. 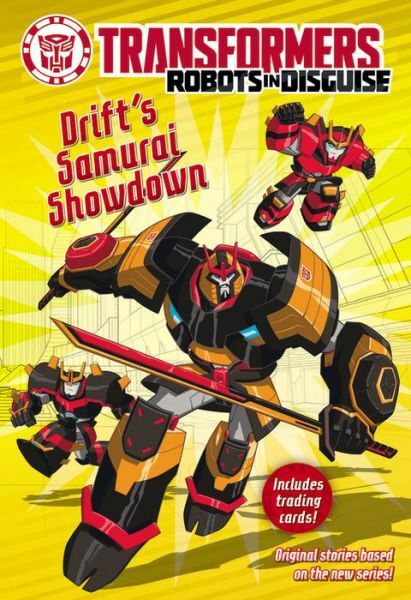 Robots in Disguise’s Drift takes center stage in this book titled “Drift’s Samurai Showdown”, a 144 page book by New York Times bestseller author John Sazaklis. It’s priced at $5.99 and is due out on 1 September 2015. 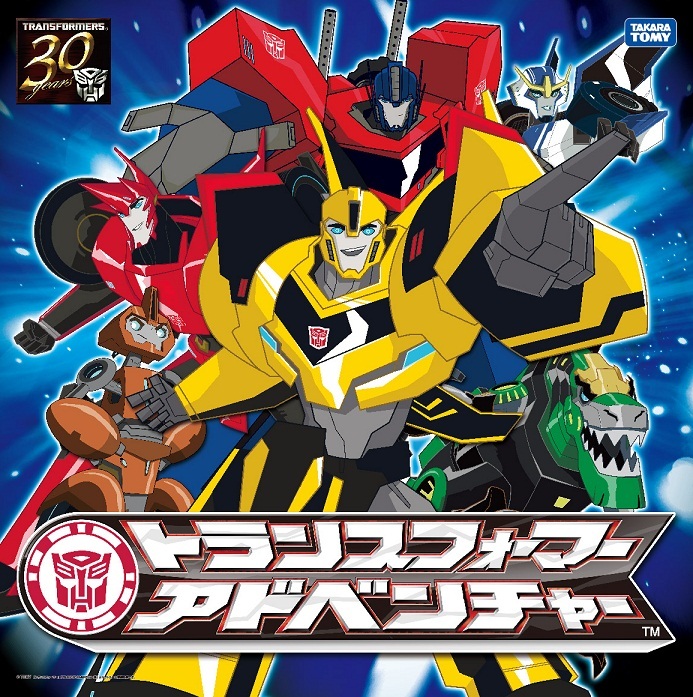 The post Robots in Disguise Young Reader Book Starring Drift appeared first on Transformer World 2005 - TFW2005.COM. 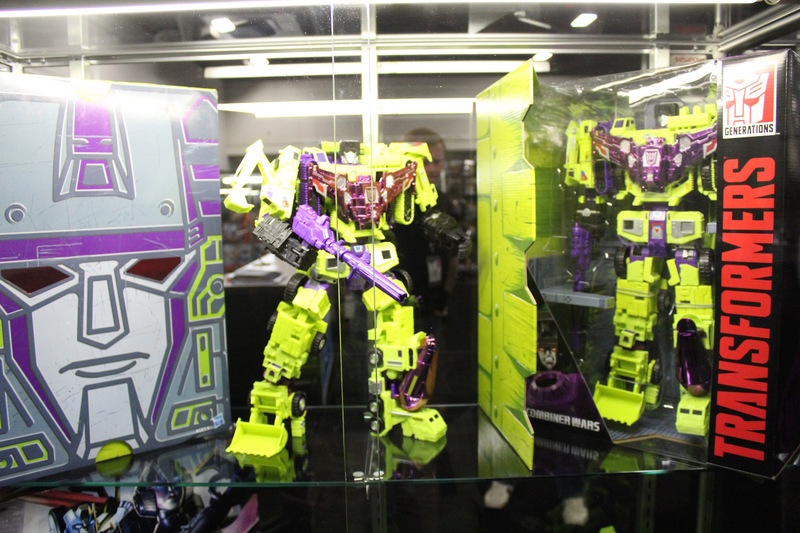 Fresh from the Dealer Room we have some more pictures of Titan Class Devastator both retail and SDCC. Also in the Combiner wars Generations booth were all the passed waves of this year, Combiner Hunters 3-Pack and additional licensed products. Check out all the images after the jump! The post Hasbro Booth Generations Combiner Wars and San Deigo Comic Con appeared first on Transformer World 2005 - TFW2005.COM. 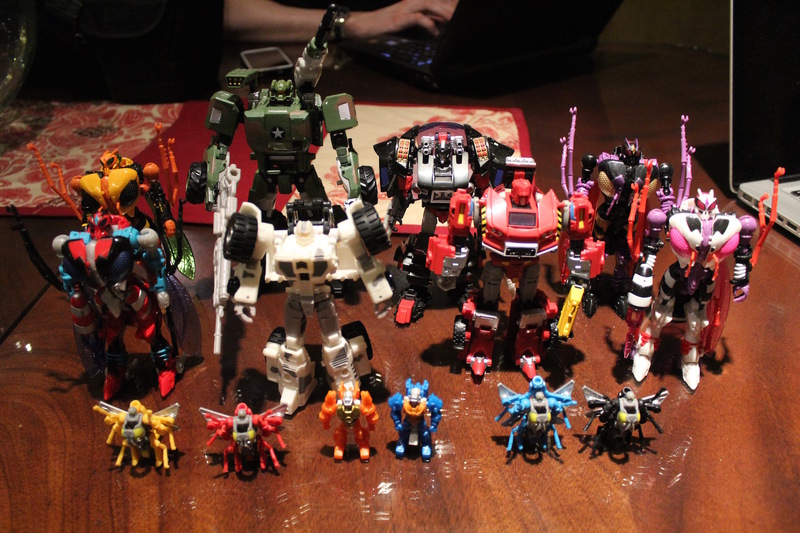 This just in from Botcon 2015! Our guys are there grabbing pics of the initial Hasbro cases now, but one little nugget was to good to hold out on. 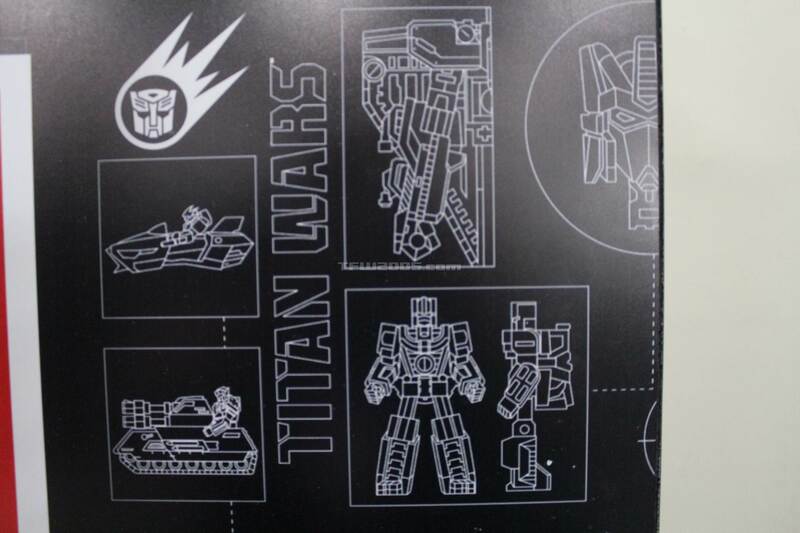 A backdrop at the Hasbro booth has artwork for TITAN WARS – with wireframe models of what look to be Fort Max. Check out the teaser pic below and stay tuned all afternoon for more! Update: From the wireframes we can make out the following: Astrotrain Fort Max Fort Max is true to original – Headmaster into Headmaster into body Blaster – who is also a Headmaster More soon, stay tuned. The post Botcon 2015 – Get Ready for the TITAN WARS appeared first on Transformer World 2005 - TFW2005.COM. GameSpot has interviewed the developers of Transformers: Devastation and they have confirmed IDW’s Andy Schmidt as the storyteller for Transformers: Devastation. Activision Producer Robert Conkey mentioned that Mr. Schmidt also worked with them for the War For Cybertron, Fall Of Cybertron and Rise Of The Dark Spark titles as well. A brief summary of the game’s story was also revealed. You can check out the video, after the jump. 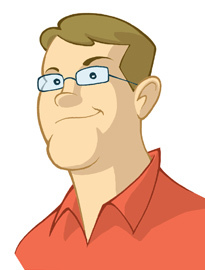 The post Andy Schmidt Confirmed As The Storyteller For Transformers: Devastation appeared first on Transformer World 2005 - TFW2005.COM. 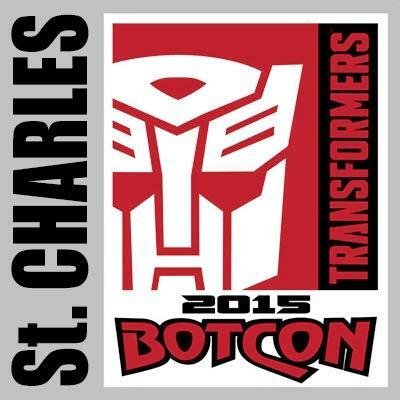 Live coverage of “The Birth of Transformers” blog from BotCon 2015! Click on the “Read More” link below for details! The post BotCon “The Birth of Transformers” Live Coverage appeared first on Transformer World 2005 - TFW2005.COM. Botcon 2015 is underway and our guys on the ground are enjoying their vacation checking out some panels. They’ve sent in their notes on the TCC Magazine panel from earlier today, read on to check out details for year 11, year 12, the comics, and some QnA. We’ll be live blogging bigger panels later in the weekend with updates like this for the smaller ones, so stay tuned! Year 11 Return of the club combiner soon. Classics universe transported to shattered glass universe TCC year 12 2015 story concludes Another 2 year story arc next year’s story picking up after » Continue Reading. The post Botcon 2015 – TCC Magazine Panel Details appeared first on Transformer World 2005 - TFW2005.COM. Botcon Countdown: 2009 – 2012 Sets on eBay! USA Today Reveals Fan Built Combiner Victorion! 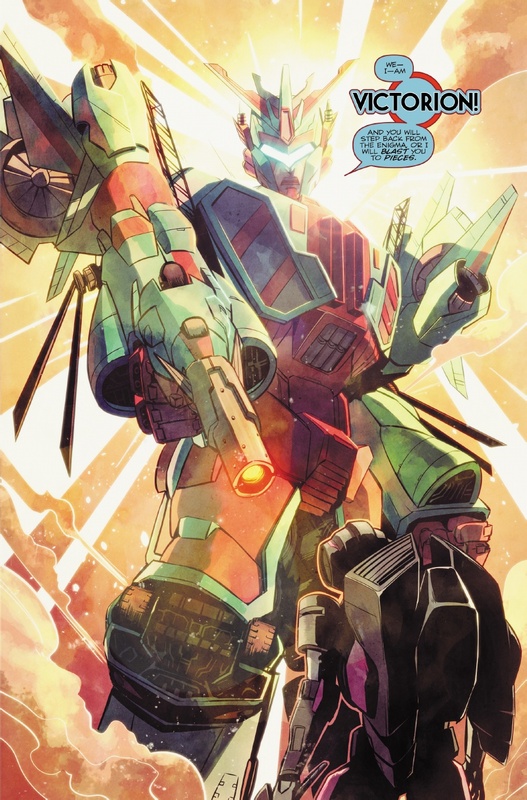 USA Today has just revealed Victorion! Check it out after the break. The post USA Today Reveals Fan Built Combiner Victorion! appeared first on Transformer World 2005 - TFW2005.COM. The official TakaraTomy channel has uploaded the full episode for Transformers Adventure Episode 13, titled “Face off with the Decepticon Army” (対決、ディセプティコン軍団). So, “Don’t Cry, Don’t Stop, Speed Up!“, and enjoy the Japanese episode below, and share your thoughts after the break. The post Transformers Adventure Episode 13 Now on YouTube appeared first on Transformer World 2005 - TFW2005.COM. 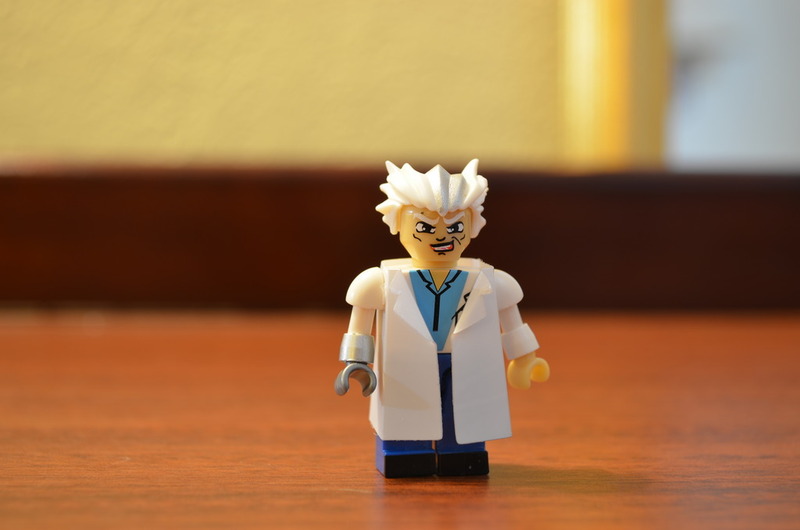 Check out some in-hand shots from TFW2005 Staff Bruticon of the Botcon 2015 Kre-O set featuring Robot Master, Nightbird, Autobot Spike, Dr. Arkeville, Sentinel Prime & Headmaster. Feel fre to share yours on the boards and check out other at-show shots! The post Botcon 2015 Kre-O Set In-Hand Images appeared first on Transformer World 2005 - TFW2005.COM. Check out some in hand shots of the Botcon attendee exclusives direct from TFW2005 team members Jacer and optimusfan. Included in the shots are General Optimus Prime, Sargent Hound, Diaclone Skidz, Diaclone Hoist, The Waruders 4 Pack. These are just some quick shots from the hotel room at the show, we’ll be doing full sets down the road. Enjoy these and others shared by the fans on the 2005 Boards and make sure to check back tomorrow for opening day! The post Botcon Souvenir Sets In Hand appeared first on Transformer World 2005 - TFW2005.COM. 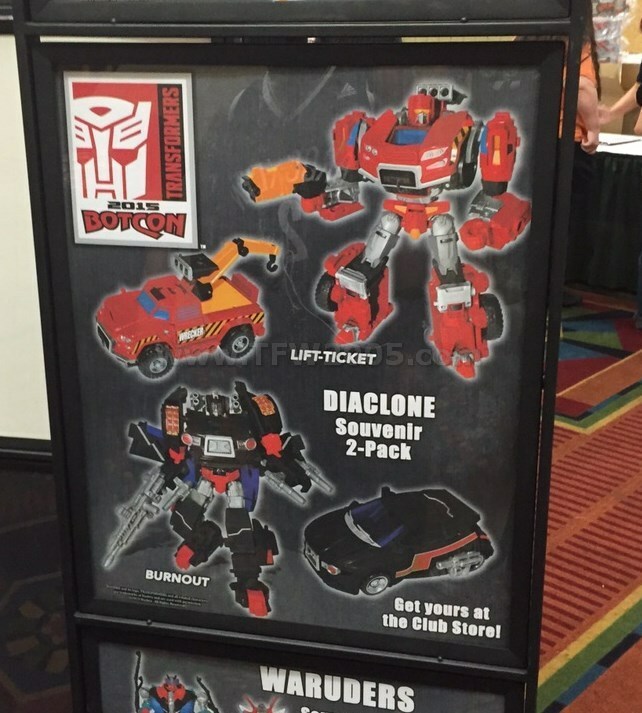 Coming to us live from BotCon 2015 via ToyDojo, we have some fresh images of what’s currently being displayed at the Hasbro booth. These include two Devastators (the normal retail and SDCC releases) and the Combiner Hunters (Arcee, Chromia, and Windblade). Check it all out after the break, and stay tuned to TFW as we bring you the latest BotCon news! The post BotCon 2015 Hasbro Booth Photos – Devastators and Combiner Hunters appeared first on Transformer World 2005 - TFW2005.COM. 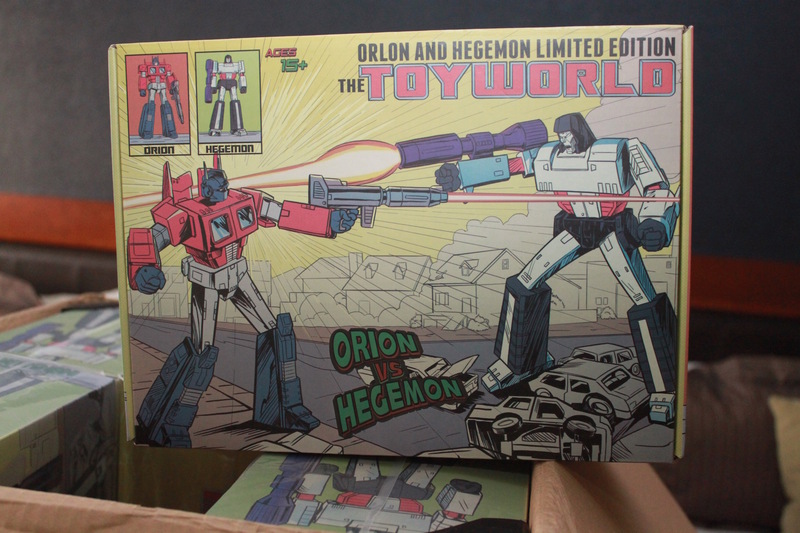 The post TFSource Botcon Exclusive G1 Marvel Inspired Orion and Hegemon appeared first on Transformer World 2005 - TFW2005.COM. Save The Dates: TFcon USA Returns To Chicago in 2016! Mark your calendars and start planning your vacation Transformers fans, TFcon USA returns to Chicago in 2016! The 2016 convention will be heading back to the Hyatt Regency O’Hare (where it was held this past year in 2014) on October 21-23, 2016 and feature a larger space than in 2014. Put in those requests off from work and start planning your trip to TFcon USA! Don’t forget there is still time to also attend the 2015 TFcon shows as well in Toronto and Charlotte. TFcon Toronto – The world’s largest fan-run Transformers convention will take place July 17th to 19th, 2015. » Continue Reading. The post Save The Dates: TFcon USA Returns To Chicago in 2016! appeared first on Transformer World 2005 - TFW2005.COM. Paackage pickup for Botcon 2015 is kicking off shortly – and our newsie Jacer has snapped some pics of the display outside of the club store, showing off this year’s exclusive toys! Check out the images after the break. The post Botcon 2015 At-Show Exclusive Figure Images appeared first on Transformer World 2005 - TFW2005.COM. We are now going through the Post-E3 Coverage and information is still trickling in from Transformers: Devastation. Sony has interviewed the Developer (PlatinumGames) and the Publisher (Activision) regarding the upcoming game which is scheduled to release on October 6th this year. The developers were kind enough to address some of the concerns buzzing around the internet after the big reveal. They assure us that Transformers: Devastation will feel exactly like a quality PlatinumGames game and hence addresses the skepticism that was after their not-so-successful Legend Of Korra game. 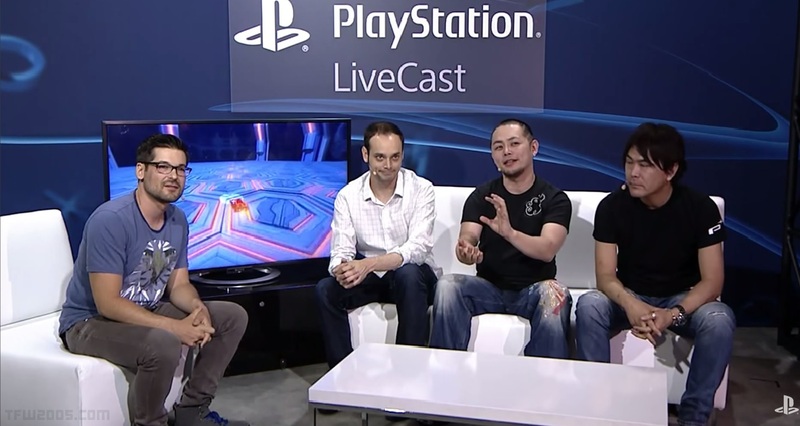 During the interview they also explain the game mechanics including how to » Continue Reading. The post Transformers: Devastation Developer Interview For Playstation appeared first on Transformer World 2005 - TFW2005.COM.